The Hawke gown is designed with an irresistible rock’n’roll bride in mind. A dramatic bohemian beaded bodice, on a structured mesh bustier. Silk embroidered full skirt with beading, tassels and a soft train. 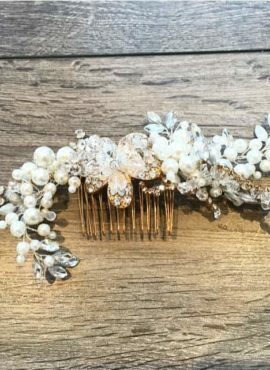 Perfect for the boho bride. 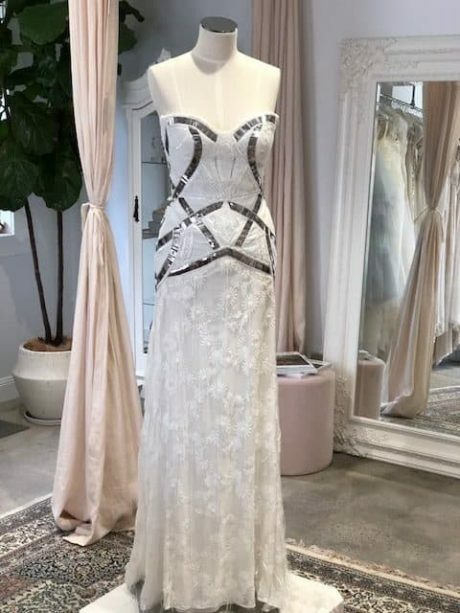 This Rue De Seine gown is available to try on at The Barefaced Bride studio.